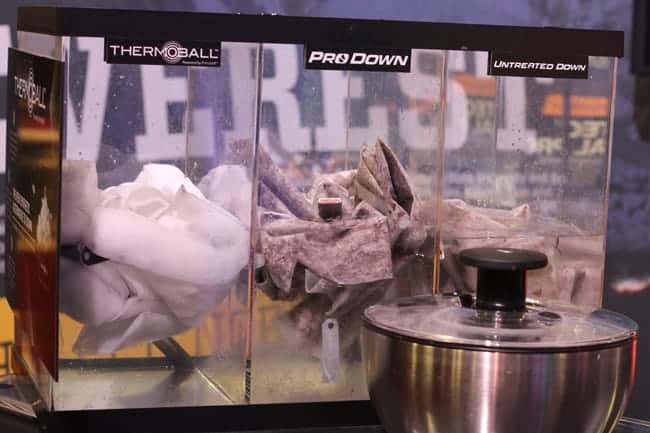 What the heck is ThermoBall? No, it’s not the next sport that will be all the rage at the 2032 Olympics in Afghanistan. 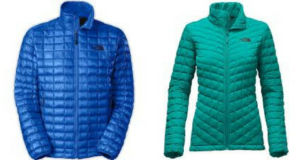 It’s a waterproof synthetic alternative to down insulation from The North Face. Not only do less geese get plucked, but it’s lighter than down, dries faster and insulates better when wet. 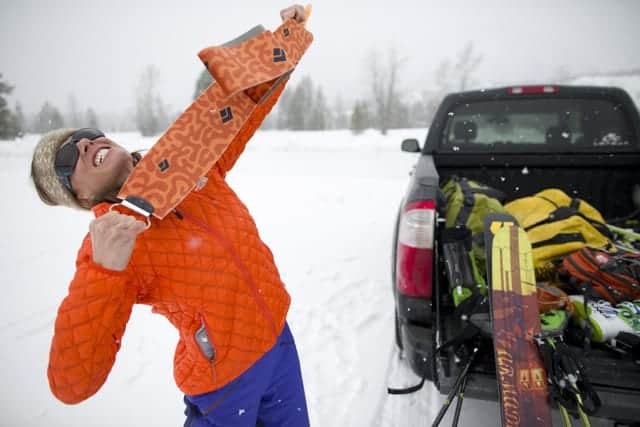 Just as compressible as their down alternatives, the ThermoBall jacket, hoodie and vest will keep you warmer this winter while saving both weight and space. The North Face ThermoBall Jacket is the perfect jacket for all conditions featuring lightweight, toasty comfort. PrimaLoft ThermoBall insulation compresses like down, so you can stow it in a pocket and take it with you wherever you go. And because it’s synthetic, the ThermoBall stays warm, even when you get wet during a misreported “powder morning” that in fact is all rain up to 8,000 feet. We feel your pain, so stay warm out there. 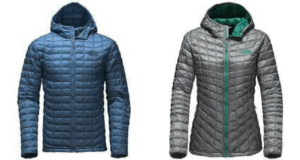 The North Face Thermoball jacket can be worn as a mid-layer under a shell or as a stand-alone piece any time of year depending on the conditions and your activity. This jacket’s warmth comes from revolutionary synthetic insulation technology The North Face developed in partnership with PrimaLoft. Unlike traditional, continuous-filament synthetic insulations, the small round PrimaLoft synthetic fiber clusters closely to mimic down clusters; trapping heat within small air pockets to retain warmth. ThermoBall offers the lightweight warmth and compressibility of down with the wet-weather insulating performance of synthetic insulation. Oh. My. God. Becky, look at that insulation. It is like, so lofty! It must be one of those other guys’ role models. 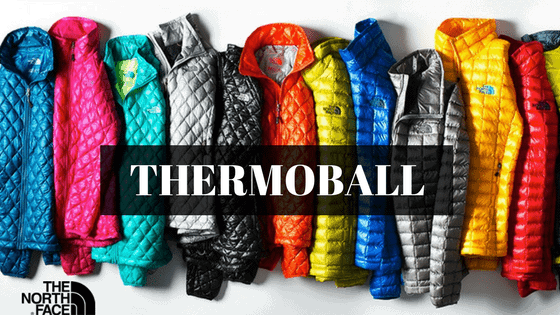 How do you wash a ThermoBall Jacket? Wash in warm water with a mild powder detergent or Nixwax. Rinse several times to remove all the dirty, soapy water. An extra spin cycle will also remove excess water. Line dry, or tumble dry on very low, or no heat. How small does the ThermoBall pack down? The ThermoBall packs neatly into a zippered pocket that you can easily stow in your backpack or into another pocket or clip it onto your belt. Don’t want all the warmth of a jacket? Check out the ThermoBall Vest. Same features as the jacket except no hood and no sleeves. 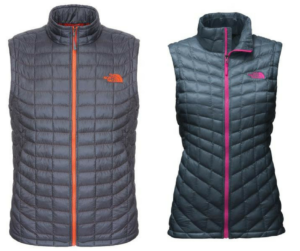 The Thermoball Vest has bound armholes instead of cuffs. It uses the same 600-fill down-equivalent Thermoball technology and bluesign-approved fabric as its siblings. Vests are great layering pieces when you need a comfortable medium. Plus, you’ll look really slick while keeping your core warm. 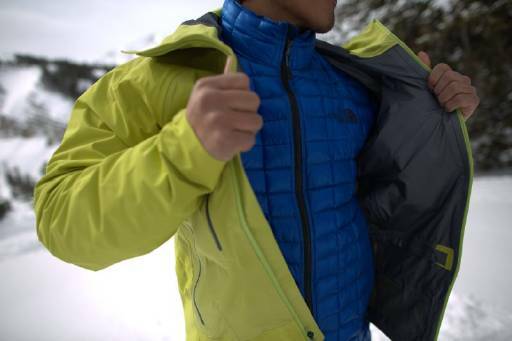 This video will make you want a ThermoBall Jacket. The North Face footwear even comes with ThermoBall insulation! 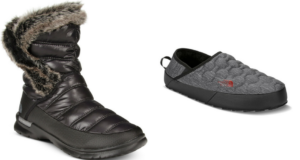 Keep your toes toasty with ThermoBall Booties and ThermoBall Traction Mule Slippers! The women’s version, the Thermoball Roll-Down Bootie, is versatile and stylish for both the comfort of your living room and tooling around in public. The Thermoball Traction Slipper and Bootie is great for winter camping, hut trips or weekends at the cabin. 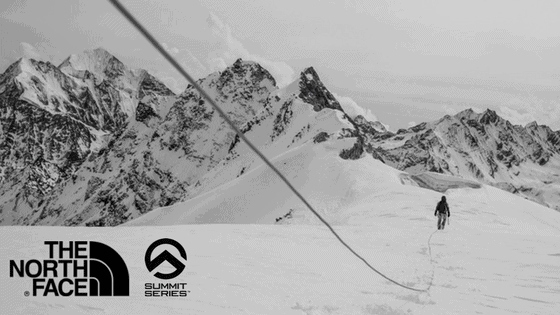 The North Face Summit Series Collection.